Weekend Heroes begin 2019 with their debut single on Tash's Movement Recordings. Hailing from Tel Aviv, the Israeli duo are one of their country's most highly regarded crossover acts. Their unique blend of progressive grooves and psychedelic design has landed them releases on Beat Boutique, Flow Vinyl and Iboga Records. Now following a quiet 2018, Weekend Heroes land on Movement Recordings with 'Maasai' alongside remixes from Mononoid and Starkato. The amalgamation of afro and progressive house has continued to be an inspired trend and Weekend Heroes explore that cross pollination on 'Maasai'. It's warm, chugging low end, cross cultural vocal elements and organic drums sit in a perfect sonic marriage. Dark stabs and ominous atmospheric waves advance the storyboard, filling in the framework for a charged first act. Melting down into the break, a hook heavy theme adds electric moments before getting washed away in a rush of beats and drums for a stellar finale. The first interpretation of 'Maasai' is provided by Mononoid who return to the label following their 'Wind Mee' EP from October of last year. The Dutch duo are fresh off a hugely successful 2018. Releases on Einmusika, ICONYC and Keller were all standouts while a memorable gig at the infamous Rainbow Serpent Festival topped off a healthy tour schedule. Now following a remix for Beat Boutique to begin the year, Mononoid provide a unique take on 'Maasai'. Opting for a deeper more melodic approach has worked wonders and sits as a perfect complement to the original. Anchored by a fluid low end and detailed percussion, the Dutch duo add soulful wails and a fragmented take of the lead motif. Pushing the narrative into emotive territory is a cinematic style break, bursting with widescreen appeal, before a euphoric rush transfers energy into a groovy final act. The release concludes with Starkato returning to the label and providing the second and final interpretation of 'Maasai'. The German artist first appeared on the Greek imprint in January of 2018 with 'Rina', a four track artist showcase produced with sometime studio partners TH;EN. 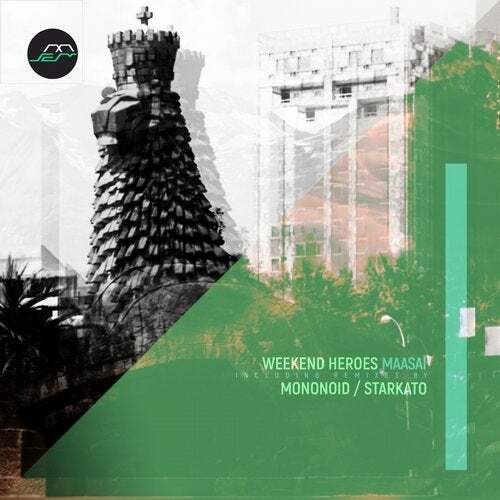 Also owning releases on Hernan Cattaneo's Sudbeat Music, Beatfreak and Asymmetric Recordings, Starkato now returns to Movement with a stunning take on 'Maasai'. Crunchy and groovy in equal measure it's a mix that stays true to the main themes from the original while adding a full, warm feel, particularly in the low end. The break shows Starkato's keen sense of dance floor dynamics with all the tension and anticipation you could ever want, executed with a subtle build and classy drop which keeps the vibe on the right side of cool. A wicked remix from Starkato which caps off another stunning release from Tash's Movement Recordings, who continue a strong start to 2019. Highly recommended.